The move toward subspecialty interpretations represents a significant trend in the maturation of teleradiology. Increasing acceptance is driven by substantial challenges presented by radiology’s development. “One of those challenges is matching the suitable reader with the right study and then achieving this appropriate matchup as much as possible,” explains Scott Seidelmann, president of Franklin & Seidelmann Subspecialty Radiology Inc, a provider of teleradiology services. But such an idealized marriage of need with expertise doesn’t happen as often as hoped because of economics and location. Those challenges lend themselves well to the teleradiology solution, Seidelmann points out. Teleradiology services can effectively address these issues by providing customers with a network of subspecialty radiologists who can be deployed on a part-time, as-needed, or even full-time capacity. More often, healthcare enterprises recognize the dual benefits the arrangement fosters: On one hand, subspecialty reads have a positive impact on patient care; on the other, it increases referring physician satisfaction (and, in turn, referrals) and bumps up revenue, which supports a business’s sustainability in a highly competitive marketplace. 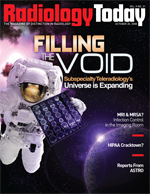 Observers point to a full suite of converging factors that drive the growing need for subspecialty teleradiology, including the ever-growing number of outpatient imaging facilities, the ongoing advancements in imaging technology (and the resulting increase in data volume), as well as business considerations such as economics and differentiation from competition. Then, of course, there is the ever-present radiologist shortage. “When you look at subspecialty reads specific to teleradiology, you first need to consider what has driven the need for subspecialization in the radiology field in the first place: The number of procedures has grown far faster than the number of radiologists, a situation promulgated by advances in technology,” says Seidelmann. New advancements have subsequently led to new imaging modalities and increasingly complex applications. In addition, with new imaging developments, radiologists have become overwhelmed by the increasing amount of volume that simply surpasses the amount of knowledge they can effectively master. “Radiology has become so complex that no single radiologist can be expected to know it all and do it all,” says Seidelmann. “When talking with our client group, I can tell that some of their doctors feel pushed to do these interpretations, and they aren’t comfortable with the situation. Many would rather have an expert do the reading,” says Scott Giordanella, director of marketing for NightHawk Radiology Services, the pioneering teleradiology company. But the radiologist shortage also brings with it a relative scarcity of subspecialist or fellowship-trained diagnostic readers, and healthcare facilities face the prospect of competing for the most highly specialized experts, says Greg Rose, MD, PhD, founder, president, and CEO of NightRays, a teleradiology service provider that offers subspecialty reads. Some of these facilities simply can’t compete. Further, he says, the traditional radiology model doesn’t optimize the use of existing expertise. Ideally, each case that a hospital or imaging center sees should advance to the appropriate level of expertise. But that doesn’t always happen within the traditional radiology model. “Instead, because of the shortage of radiologists, the field is just trying to keep up,” says Rose. But subspecialty reads via teleradiology help offset those issues. Also, they enable general radiologists to do what they do best while being supported by available experts. The new paradigm benefits the subspecialists as well, says Seidelmann. Subspecialists, by nature of their education and ambition, need to handle a certain volume level to maintain competence in their particular area. “That’s why it is hard for a neuroradiologist or musculoskeletal radiologist to work in one place. Typically, they won’t have access to enough cases,” he says. As far as economics, due to legislation to reduce medical imaging costs and a decline in reimbursement, smaller imaging facilities and hospitals have needed to increase their referrals. Subspecialty reads help them accomplish this, as well as separate themselves from the competition. Hand-in-hand with that, he adds, some smaller facilities will transition to the point where they only have intermittent on-site subspecialty care. “The rest of the work will be sent to teleradiology services,” he adds. Furthermore, the transition will occur within environments with the most advanced communication advantages. “Improved communication will exist among local clinicians and radiologists via technology such as Web cams,” Rose says. As Seidelmann points out, such environments will represent a “decoupling” between who needs to be on site and how images are read. In the meantime, subspecialty reads are especially benefiting the smaller healthcare organizations (the rural hospitals and outpatient imaging centers) as it provides them with the highly trained experts who they otherwise couldn’t recruit or afford. “Right now, we see the biggest need in the small practices, especially in rural areas, specifically the one- to five-person operations,” says Rose. To compensate for those needs, NightRays advances a combination approach. “We offer our customers fellowship-trained radiologists, as well as radiologists who have garnered expertise in a subspecialty over a long period of time, on the ground, and can cover a range of specific areas,” says Rose. Right now, the specific subspecialty areas most in demand include women’s imaging (mammography and breast MRI), musculoskeletal (MSK), neuroradiology, cardiac imaging (particularly CT angiography), nuclear medicine, and pediatrics. Indicative of the growing need for subspecialty reads in teleradiology, Franklin & Seidelmann added 31 subspecialty radiologists to its staff in 2007, which increased its number to more than 100. “When we started out seven years ago, we delivered neuro and MSK reads to outpatient imaging centers, hospitals, and radiology groups, and we’ve since expanded. Now, we find that the strongest demand comes from medical staff and referring physicians that require specific expertise,” says Seidelmann. Subspecialists enjoy a high degree of autonomy and job security, and they can work anywhere they want because of the work environment teleradiology offers. “Our radiologists can do interpretations in locations such as Sydney, Australia, or Zurich, Switzerland, as well as anywhere within the United States. Thus, we have been able to recruit the most highly skilled radiologists,” says Giordanella.